Watch Saturday, February 28, 2015 at 10am on WMHT TV. Also airing on Create TV and WORLD. Check our schedule for more airtimes. 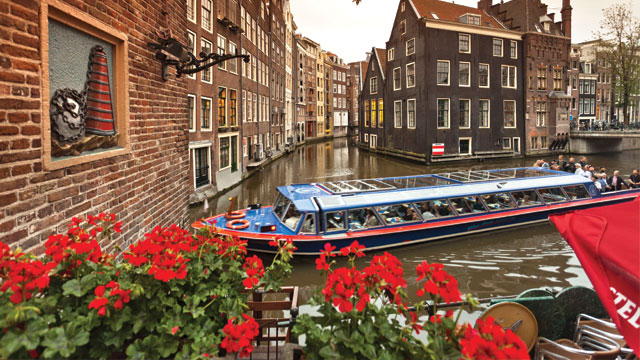 In his latest special, travel guru Rick Steves tours three of Europe's most energetic capitals — Prague, Amsterdam and Berlin. In each city, Rick shares his valuable insights on art, culture and history, along with his practical, experience-enhancing travel advice. In Prague, the capital of the Czech Republic, Rick experiences its massive castle, beloved statue-lined bridge, evocative Jewish Quarter, and thrilling 20th-century history while enjoying its infectious love of music and some of the tastiest beer in Europe. Then, he explores uniquely entertaining Amsterdam, a quaint yet jarring city filled with Rembrandts and Van Goghs, more bikes than cars, flirting prostitutes, and pot-filled coffeeshops — all beneath tall, skinny facades leaning out below quaint church towers. In reunited Berlin, Rick finds evocative memorials and other reminders of the city's 20th-century tumult, and enjoys its now-trendy east side, people-friendly riverfront and vibrant social scene.